In 2016, we named Nu Guinea’s Tony Allen Experiments as our album of the year. 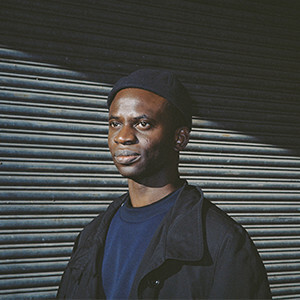 Garnering critical praise for their reworking of Allen’s legendary drum patterns, their hugely successful debut earned its place on Comet’s Afrobeat Makers series. 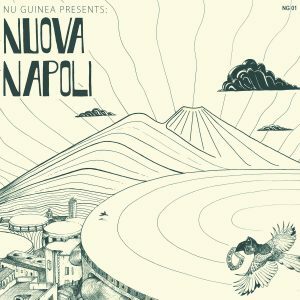 In spite of their far-reaching global sensibilities and adopted Berlin hometown, the duo’s upcoming album, titled Nuova Napoli, is a homage to their Neapolitan roots. Playing out as a work of cultural historiography, the LP is a product of the band’s extensive research project, piecing together the diverse influences that shaped their city’s thriving cultural scene in the 70’s and 80’s and joining the dots between Napoli’s great icons of jazz, funk, disco and boogie. Channelling the likes of Pino Daniele, Napoli Centrale, Tony Esposito and Tullio de Piscopo, this 7-track LP is headed straight for the dancefloor, whilst retaining the duo’s characteristic ‘live’ sensibilities. Enlisting the help of some of Napoli’s finest talent, the album features the likes of prominent local saxophonist Pietro Santangelo, Marcellio Giannini on electric guitar, and Roberto Badoglio on bass. The album seethes with a cosmic, Coltrane-esque sense of expectation and atmosphere. Steady variations from the keys of classic synths strike funky notes in a Neapolitan dialect, whilst a confident brass section pays homage to the duo’s boundless Afrobeat influences. Released on Nu Guinea’s own imprint NG Records, the LP is due for release on April 27th. 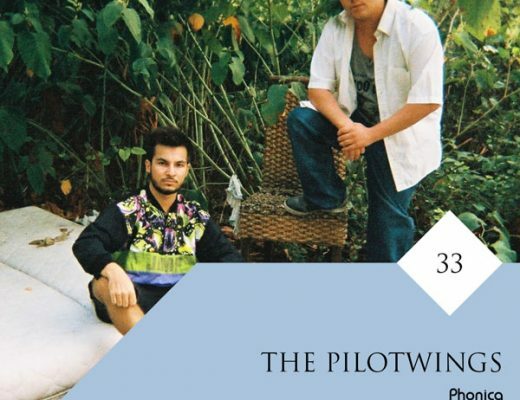 We caught up with the duo at this exciting time to discuss some of the influences and inspirations behind their latest output. Enjoy. Hello guys, we feel very excited about it – it was the right time to express through music our love for Napoli, our beloved hometown. The creative process included many trips back home and countless hours trying to construct a product that would make sense. It was a melting pot of euphoria and moments where we were ready to give up because w couldn’t get some tracks to sound the way we wanted to. This could easily be defined as one of the hardest projects we have worked on in our career. We really hope to get no vegetables chucked at us! How do you feel your sound has developed from your previous releases? We like the fact that each of our albums has got a precise concept and vision behind it. In this case, we were influenced by Neapolitan artists and bands from 70’s and 80’s. The development of our sound is strictly influenced by the music we discover and constantly evolves day by day. The album sounds a little more ‘live’ than some of your previous output, how did the tracks on Nuova Napoli tend to come into formation? In light of this, can you tell us a little bit about your choices of local musicians to work with on this album? Napoli has always been full of great artists and musicians. Growing up in Napoli we had the chance to meet a wide number of musicians. They usually met in a place called Cellar Theory, where we heard some of the best musicians doing open mic jam sessions. We always thought that one day we would have worked with them. Moreover, Neapolitan musicians have Neapolitan folk music in their blood, which has unconsciously influenced their way of expressing themselves through their instruments. We worked with Pietro Santangelo (saxophone), Fabiana Martone (vocals), Andrea de Fazio (drums) and Marcello Giannini (guitar). We also worked with an amazing bass player, Roberto Badoglio. He’s a Northern Italian guy but we feel like he has a Southern heart. Same goes for our great Polish percussionist Adam Pawel. Regarding your creative process, it’s been noted that you approached Naples ‘from a distance’ constructing the album in Berlin. What effects did you find that distance from the city created for you? The fact that we missed our hometown definitely played an important role in the creative process. Berlin is a very open-minded city and gives you many opportunities but it definitely lacks the warmth we’re normally used to. 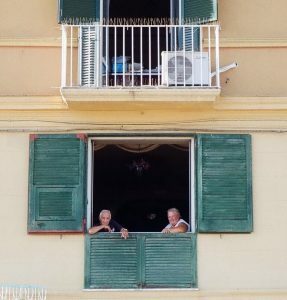 Little things such as having breakfast with coffee and sfogliatella, people shouting random stuff in the Spanish quarters, the smell of clean clothes hanging off some weak piece of string in the middle of the road, old women talking to each other from one balcony to another…. little memories like that really make us miss our city. Aside from diving into the history of Neapolitan masters (Pino Daniele, Napoli Centrale, Tony Esposito), where else did you draw influence from for this LP? Actually, this is a good point. We found so much more interesting stuff besides the more known artists. The number of records that have been released in the area of Naples and countryside is incredible. 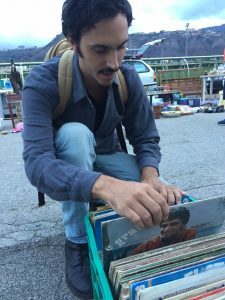 We spent countless hours digging and listening to records selecting the few rare gems that would come out of a pile of 1000s of records, mostly of traditional Neapolitan music and cheesy local pop from the 80s and 90s. Oro was a band from the area of Vesuvius. This track is part of their one and only album, released on the label Edibi from Rome. They actually also made some appearances in few national tv shows in the 80s. According to the band members, the track is dedicated to Sasà, a guy who used to attend a club called “Discoteca Cotton” in their neighbourhood and was known for his funny way of dressing and acting. This is one of the strongest things we heard out of private pressed records that came out in the 70s in Naples. An instrumental dancefloor burner indeed. Rumours say that band was only in their teenage years when they recorded the record, and the bass player didn’t have fingers one hand due to an accident. Sometimes people tend to only look for the most obscure stuff around, while it’s possible to find amazing yet under the radar stuff in between known pop artists. This, in fact, is not obscure at all. Edoardo De Crescenzo is one of the most known singers from Naples and released on very big Italian labels. He is mostly known for certain songs that really became famous all over the place, but in between these it’s possible to find some crazy funky gems like this one. 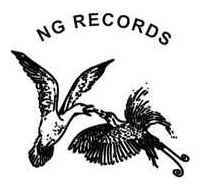 We are currently gathering some Neapolitan music for a special release we have in mind with our friends from Famiglia Discocristiana and DNApoli which have been key figures re-discovering those “obscurities” from Napoli. 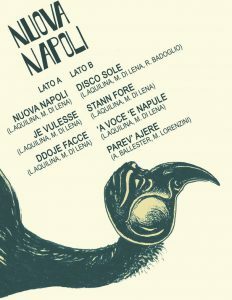 Did record digging form a big part of your musical education when it came to researching Napoli’s musical history? Yes, definitely! Going record digging in Naples allowed us to discover records we wouldn’t know about otherwise as there’s no presence of such on the web… even Neapolitan people barely remember these artists. We also have plenty of stories related to our record search. Like the day we met a 70-year-old man who told us that when he was young he was a “psychologist” for transsexual prostitutes, and paid them just to hear their problems and eventually help them out. We also heard stories that led us to think that many records from that era were supported and financed by Camorra. And so on… We could probably write a book on our digging adventures. What’s your approach to digging in the city? 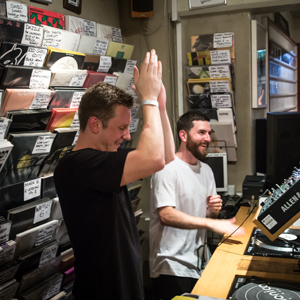 We suggest visiting the new record store ‘Futuribile‘ owned by our dear Mystic Jungle and co. There is also an unconventional approach that has no rules: having a car is necessary because it’s all about going to the markets which are now popping up all over the place in the Vesuvius area, but also random shops or “rigattieri” (junk dealers). For example, we went to this crazy old wedding-gifts factory and a random old-fashioned saloon where the owner strictly talks about gossip in this very tight Neapolitan dialect. Napoli’s environment (Vesuvius, the Mediterranean) seems to have been quite a shaping force for you as musicians. How do you feel you connect to your city and local environment in your music? Napoli has always been a way station for different populations as it’s centred in the middle of the Mediterranean. A place where people have always been open to musical and cultural exchanges. This has inevitably influenced our general approach to music. Traditional Neapolitan music (Canzone Napoletana) was born around the XIII century as a spontaneous expression of the Neapolitan people which, above all, demonstrated the contradiction between the natural beauties and the objective difficulties of life in Naples. After a number of years, this contrast is still present and people keep living it as an inner conflict. It’s probably this inner conflict that has inspired our music and all the generations of musicians before us. Particularly one song in our album (“Ddoje Facce”/“Two Faces”) perfectly encapsulates this concept as it says: “So Ddoje facc ‘e na medaglia o t’a pigl’ o l’ea lassà” (it’s two sides of a coin, either you take it or you leave it). At the moment we live in Berlin but we definitely plan to go back home one day. You released this LP on your own label… How do you see NG Records panning out over the coming years, do you see it expanding or existing mostly for personal releases? Having your own platform gives you various advantages: you can release whatever you want, whenever you want and also you have more income from the sales…which means more synthesizers in studio and records in our collection. We are mainly focused on releasing our own music but we don’t exclude the possibility of releasing music from other artists. How is the scene in Napoli looking today? Do you have any recommendations for exciting new music coming from your city? Nowadays the music scene in Napoli is pretty active and constantly growing. Of course, we have to mention all people involved with Early Sounds recordings and Periodica records. But also great musicians such as Fitness Forever, Super Mega Funkin Machine, Slivovitz and Quiroga. Do you have any plans to take the album on tour? How would a live arrangement work in this case? Or are you more likely to be showcasing your record collections? It would definitely be amazing to take the album on tour as a live band, which would include probably six people on stage. We’re working on it! We will also keep spinning our records along with a live synth as we’re currently doing. Of course, we will keep adding more obscure Neapolitan records to our DJ bags.